Our interests primarily focus on aspects of thermoregulation and how temperature affects animal lives. We study interesting and unique animals in order to discover the means or mechanisms of physiological adaptations. The evolution of physiological responses is central to many big questions, including the origins of endothermy to the transition from water to land in early tetrapods. 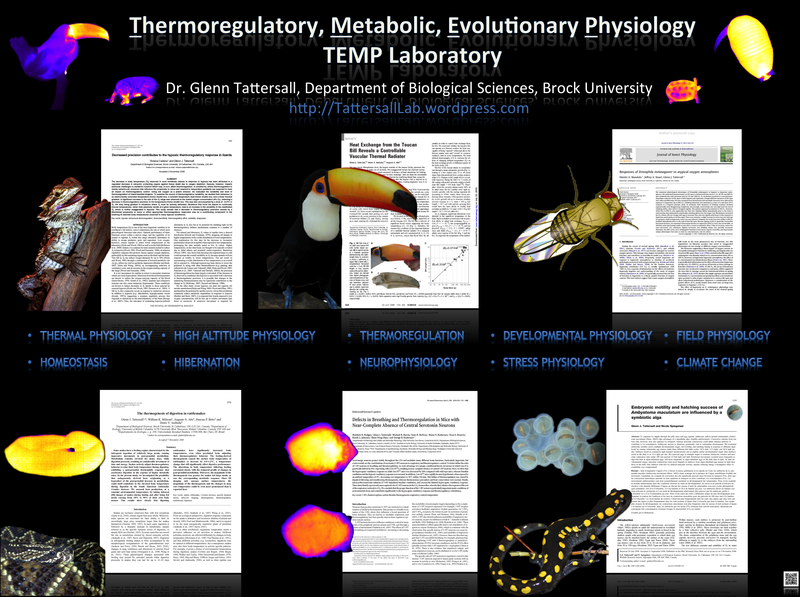 Temperature profoundly influences energy needs and metabolic processes in animals are temperature sensitive. Understanding metabolism and energetics is key to any study of physiology. Form and function derive from physiology. Behaviour is shaped by how the body responds to the environment. Physiological responses encompass everything from how animals sense their environment to how the brain controls their responses.